Verizon Wireless and Motorola announced today that the Motorola DROID 2 will be released for pre-sale on the 11th of August, 2010. Motorola’s DROID 2 will include features like QWERTY keyboard, ultra high-speed internet browsing, 3G Mobile HotSpot Capabilities, full push corporate e-mail, social messaging and the Adobe Flash Player 10.1 for full internet experience on the Android 2.2. Motorola’s DROID 2 has a unique super-slim design, thanks to which it provides easy to use e-mail, text messaging and tweeting. The raised keys on the keyboard provide more comfortable and responsive typing. 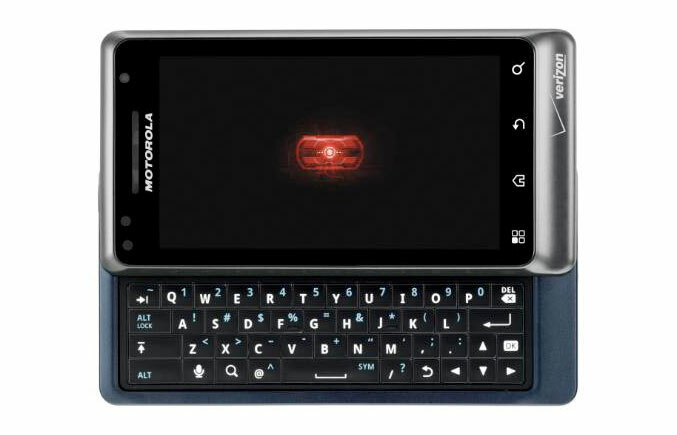 Quick messaging features like speech-to-text and virtual multi-touch keyboard are also featured in the new Motorola DROID 2, combining power and speed together. DROID 2 by Motorola has the ability to hook up to maximum five compatible Wi-Fi devices. The 3.7-inch multi-touch screen display is perfect for watching, browsing, or even sharing content recorded with the five megapixel camera, which features enhanced functionality and DVD-quality video capture. The Android 2.2 Operating System also offers access to the Android Market, which stores more than 70,000 applications. Consumers will be able to download their favorite applications and install them on the preloaded on-board memory with the capacity of 8GB, and also on the 8GB MicroSD Flash Card, which is expandable to 32GB for a total of 40GB Storage Capacity. Motorla’s DROID 2 also comes equipped with the Adobe Flash Player 10.1, thanks to which users will be able to fully experience millions of websites on the internet, they way they were designed. Verizon Wireless will also offer a limited edition R2-D2 version of the Motorla DROID 2 which will be available for online purchase in September, 2010, courtesy of the Astromech Droid from the Star Wars Saga. Motorola DROID 2 will be released on the 11th of August, 2010, for the price of $199.99 after a $100 mail-in rebate with a new two-year customer agreement. Check verizonwireless.com for more information.